It was Janmashtami yesterday and the entire nation celebrated the birthday of Lord Krishna with much zest and enthusiasm. The streets of India were jammed with Dahi Handi breaking celebration and the fun and frolic of the day spread all over almost contagiously. Bollywood celebrities left no stone unturned in celebrating this joyous festival. 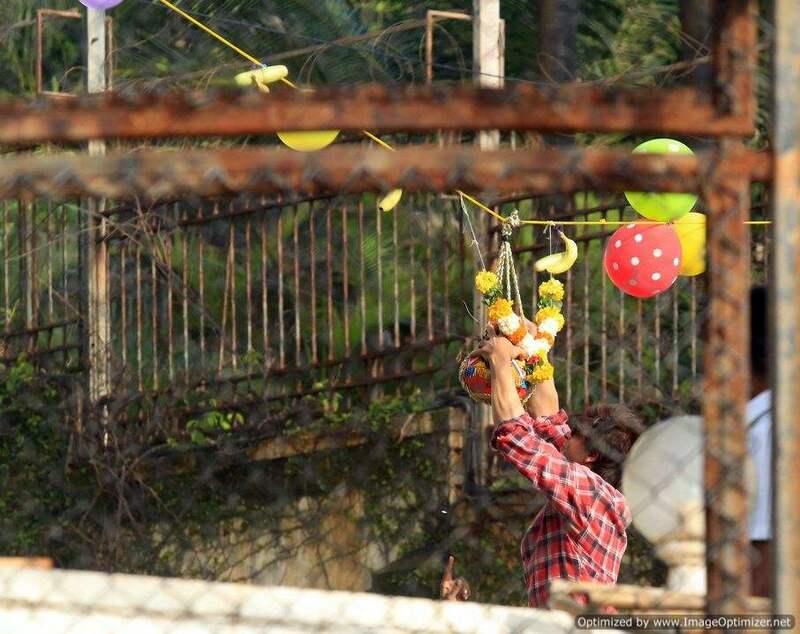 Shah Rukh Khan held Janmashtami celebrations at his abode Mannat like every year. 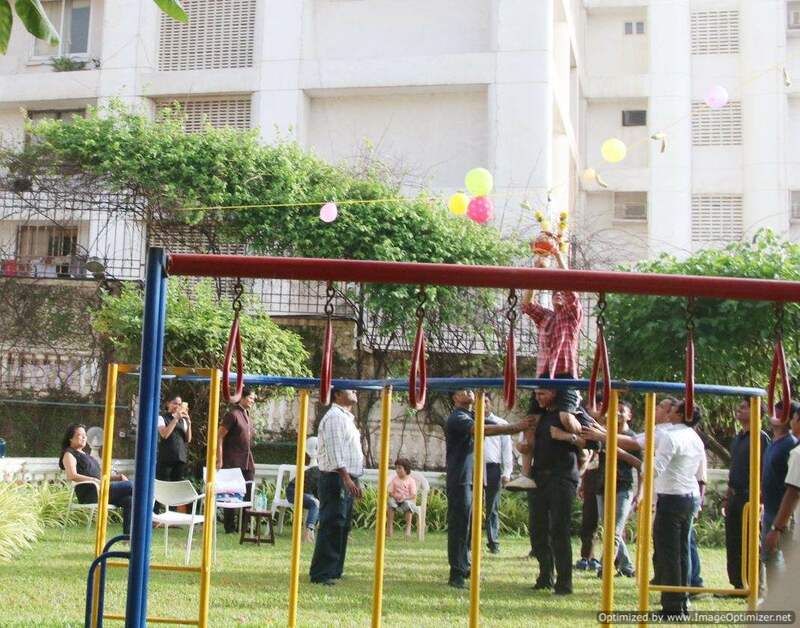 He celebrates every festival and holiday with much excitement along with his family. 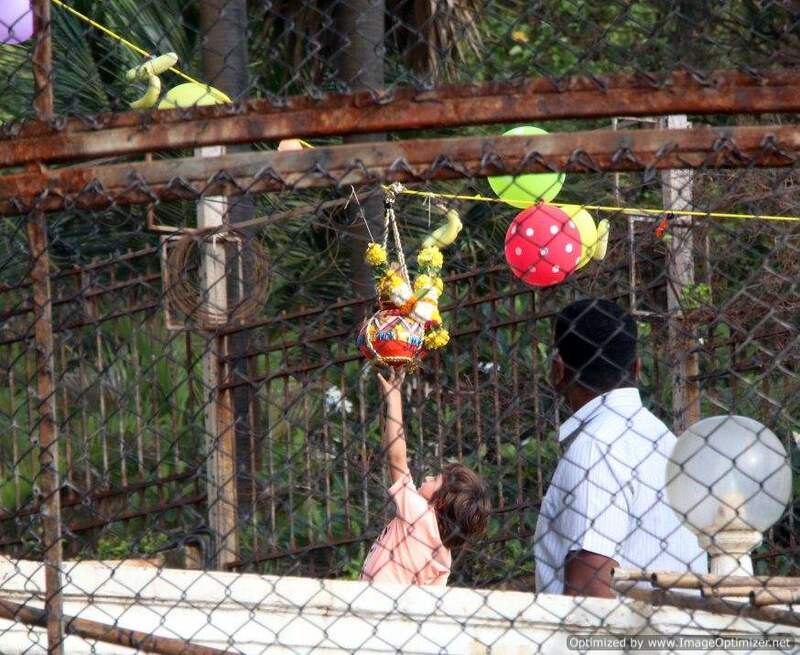 This time too, he celebrated Janmashtami and Dahi Handi. 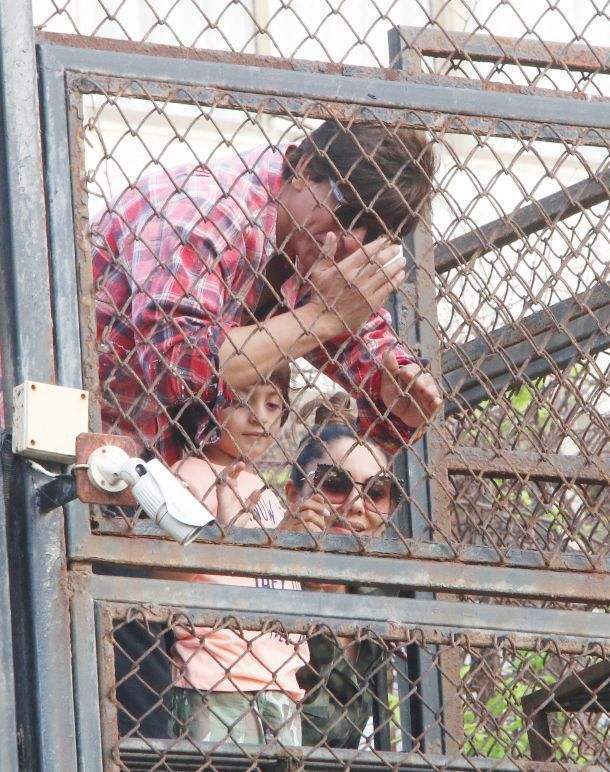 Accompanying him were his wife Gauri Khan and five-year-old baby AbRam Khan. 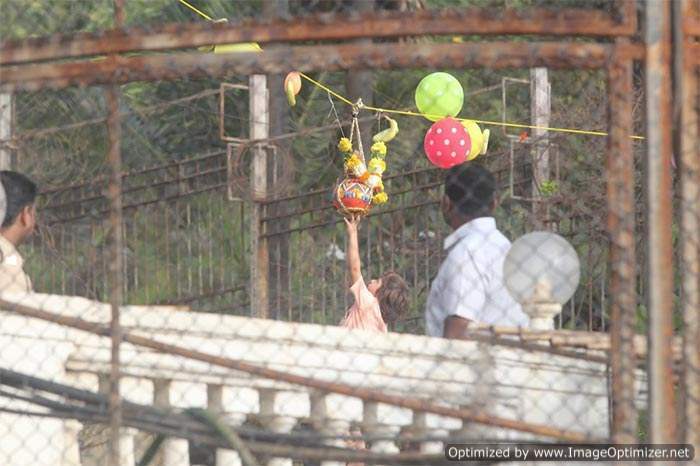 AbRam Khan trying to touch the Dahi Handi is the cutest thing you’ll see today. 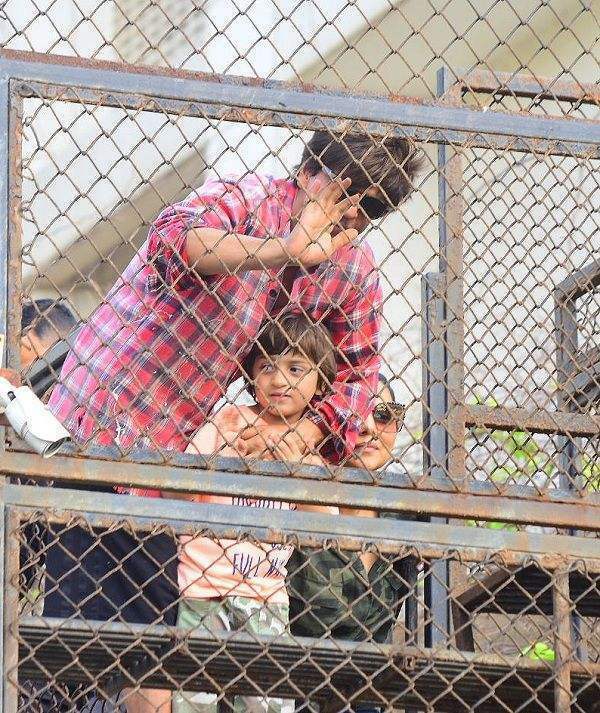 After the Dahi Handi, Shah Rukh and AbRam came forth to greet and wave at the paparazzi. Gauri Khan, too, joined them later. 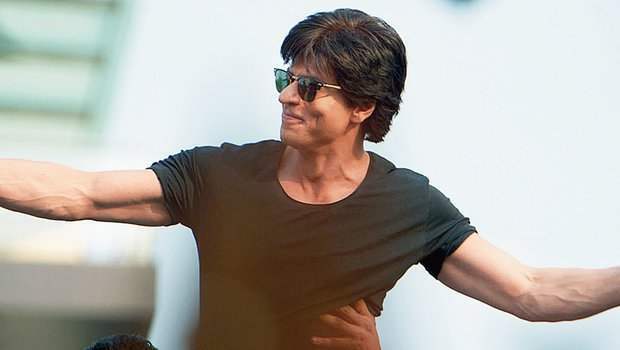 It’s SRK’s Birthday! Here’s A list Of Film & Quotes That Made Us Fall In Love With Him!